Jamison Aloes' father has seen him, while Dillon Matthew St. Peter, who fled with Aloes, has been charged with a probation violation. 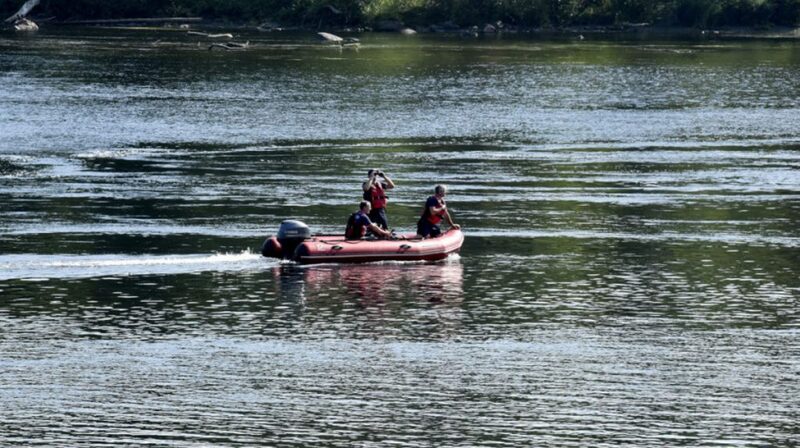 SKOWHEGAN — A Solon man who escaped police pursuit Sunday morning by jumping into the Kennebec River and swimming away was still at large Monday, police said. Police Chief David Bucknam said Jamison Aloes is still being sought for questioning in the incident, which allegedly involved a fistfight and a motor vehicle accident from which Aloes, 22, and Dillon Matthew St. Peter, also 22, fled. St. Peter, of Madison, was arrested on a probation violation and booked at the county jail Sunday at 5:12 p.m., according to the jail booking log. St. Peter is on probation for burglary and is being held without bail on a probation hold. 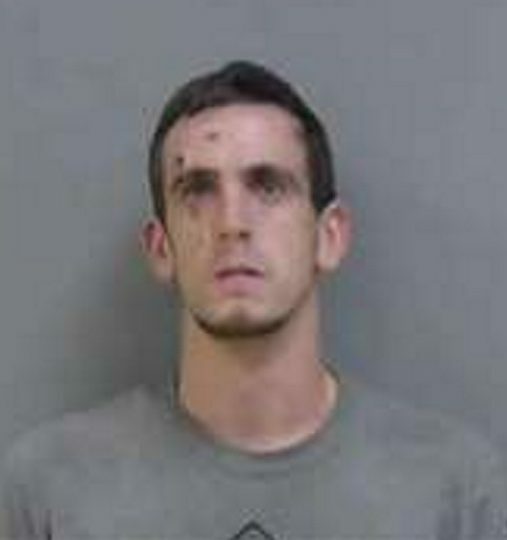 He was indicted by a Somerset County grand jury in December 2017, charged with felony counts of burglary, theft and criminal mischief and with misdemeanor counts of theft and violation of conditions of release June 12, 2017, in Embden. Bucknam said Aloes was seen by his father on Sunday who told police his son had “gone to the fair,” possibly the New Portland Lions Club Fair which wrapped up on Sunday. Police think Aloes was the driver of a silver 2006 Dodge caravan who crashed into a chain link fence near the Old Mill Pub in Skowhegan early Sunday morning, then fled police on foot by clambering down a steep embankment into the Kennebec River. The vehicle also caused damage to the exterior of the Old Mill Pub. Skowhegan Fire Department crews searched the river after the initial call, then returned to the river in two boats at 2 p.m. Sunday but were called off when it was learned that Aloes had contacted his father. He has not turned himself in. Bucknam said there had been a fight behind the Northern Mattress and Furniture Co. parking area in the Water Street downtown shopping district. There were no charges filed on the fight because it was over before officers arrived, and the participants had fled the area at about 12:40 a.m. Sunday. Somerset County sheriff’s deputies and Skowhegan fire units also responded, according to the radio dispatch log. The driver attempted to leave in the vehicle and hit the Old Mill Pub building and the chain link fence, Bucknam said. Bucknam said the driver of the caravan had tried to exit the parking lot through a small, fenced-in alley between the Old Mill Pub and Northern Mattress. He said the vehicle struck the building as well as concrete barriers protecting propane tanks behind Northern Mattress.